The research for this website was carried out mainly in 2011 and 2012. Therefore there is a good chance that much of the information may now be out of date. This is particularly true of countries in the developing world, especially Asia, Africa and parts of South America where conditions can change often. Also, the political climate in many countries has changed a lot in recent years- The Middle East being an obvious area where this is the case. Therefore the information on this website should be treated with caution. You should always check with your Government’s website or the UK Foreign office travel advice website before finalising plans to drive abroad. 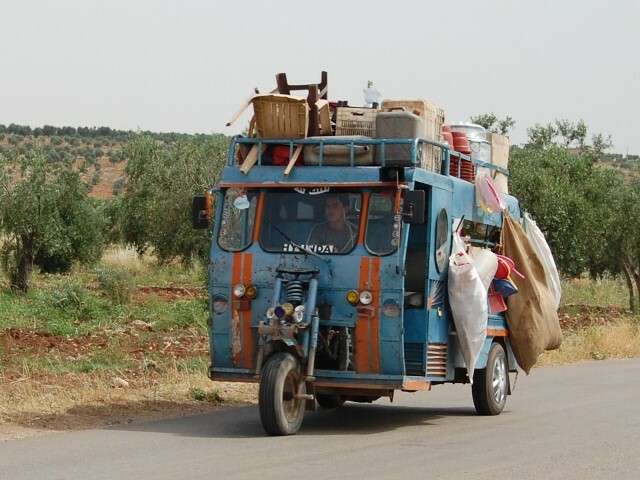 Check your Goverment’s website for advice on travel within Syria before considering driving abroad here. As of July 2012, Syria has joined the list of countries to which most governments advise against all travel to, as the civil war in the country escalates. The information below is likely to be fast changing, so please check your Governments website for the latest info before contemplating a trip to Syria, let alone self driving there. 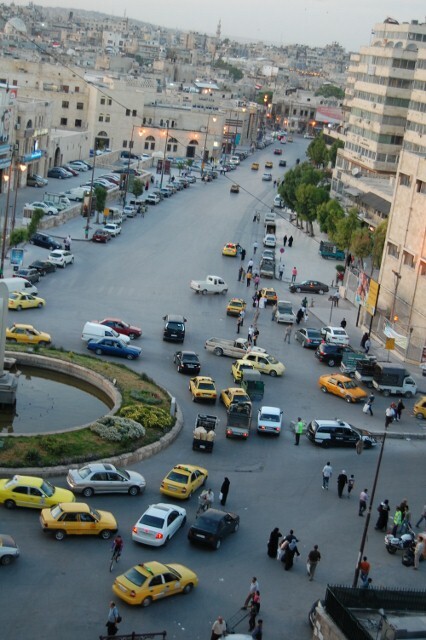 Several major highways including Tartous-Latakia, Tartous-Homs, Latakia-Aleppo, Homs-Hama, Homs-Damascus and Damascus-Jordan will be subject to temporary closure because of demonstrations or disturbances. There has also been an increase in the number of security force checkpoints on major road routes. There is an increased likelihood of large gatherings on public holidays and at weekends, particularly in the hours following Friday prayers. Road closures have affected access to some land border crossing points. This can happen at short notice, and it may not be possible to guarantee security along the route. You should check the status of the border crossing and access routes, including those into Turkey, before travelling. The main Nasib/Jaber border crossing with Jordan is currently open, but at times it has also been affected, with limited access due to numerous road blocks along the route. You should avoid the Ar Ramtha border crossing to Jordan and the Tal Kalakh/Hdaideh crossing in to north-east Lebanon.. You should not attempt to enter Iraq via the Syrian border, which is subject to restrictions on both sides. Officially you need an International Driving permit to rent a car though I was able to rent one without being asked for my IDP. Roads are generally in good condition but driving standards tend to be erratic , particularly in Cities where traffic is heavy and concepts such as lane discipline don’t really exist. Your horn will be the most useful instrument on the car, as most drivers use this instead of an indicator. Roads are poorly lit away from urban areas and you are likely to encounter pedestrians , animals and poorly lit vehicles on the road- take additional care if driving at night. Outside city centres traffic is lighter and roads are generally in a good state of repair but beware of lorry drivers who may overtake on blind bends or hills. Drivers are always deemed to be at fault in the case of an accident between a car and a pedestrian and due to lack of pedestrian crossings in cities, you do come across kamikaze style road crossing techniques so be on your guard at all times! 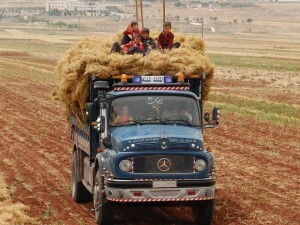 There are a number of videos of driving in Syria on the DriverAbroad.com YouTube page. As of Summer 2013 it seemed unclear whether any car rental companies were still operating. Before the war Sixt , Europcar, Budget and Europcar all had branches in the country. None of their websites returned any rental options when I checked. Even a check on Argus Car Hire, which I find to be the most exhaustive broker search, failed to locate a vehicle. 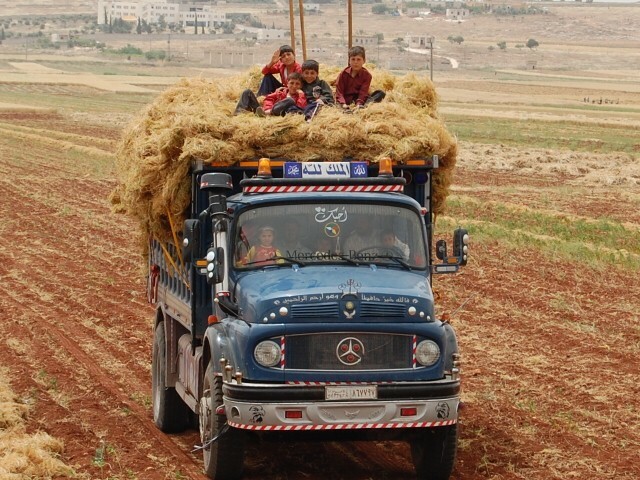 It may be that some of the smaller locals firms below are still operating, but unfortunately Syria has currently taken on the mantle of its neighbour Iraq as a country its very difficult, if not impossible, to self drive in. One way rental within Syria is generally allowed but none of the big companies seem to allow cars to be taken out of Syria.